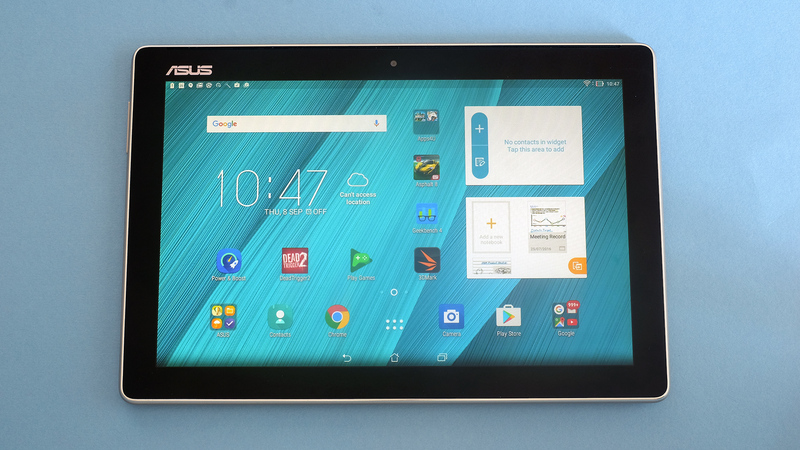 Update: The Asus ZenPad 3S 10 still sits in our best tablet of the year rankings but it's no longer as desirable as it once was. The price has dropped but not vastly, the software has been updated since launch but only to Android Nougat, and there's new competition from the likes of the iPad 9.7. While Apple's iPad range has been a big seller since its inception in 2010, Android tablets have failed to achieve the same commercial success, despite Google's early enthusiasm for the concept. Asus is clearly of the opinion that if you can't beat 'em you should join 'em, because its latest slate is a dead ringer for the iPad Pro 9.7 and the iPad 9.7. It boasts a 9.7-inch 1536 x 2048 screen and a design language which is straight out of Apple's Cupertino offices. It’s also got fairly beefy specs on the inside, with power supplied by a MediaTek hexa-core chipset and 4GB of RAM, while a 5,900mAh battery is on hand to keep things ticking over. The Asus ZenPad 3S 10 landed with a mid-range launch price of $300 (£300, around AU$515), which is well under what you’d pay for a recent Apple slate. That was a great price, but that was back in 2016 and while it has since dropped it hasn't done so by much, with stores still charging around $270/£270. It's also nowhere near as widely available as it once was. That puts it in a slightly tricky position, because the new iPad 9.7 isn't vastly more expensive, and there are also alternatives like the Huawei MediaPad M2 10.0 and Samsung Galaxy Tab S2 competing for your cash, so the ZenPad 3S 10 needs to be more than just a cheap imitation to stand out. 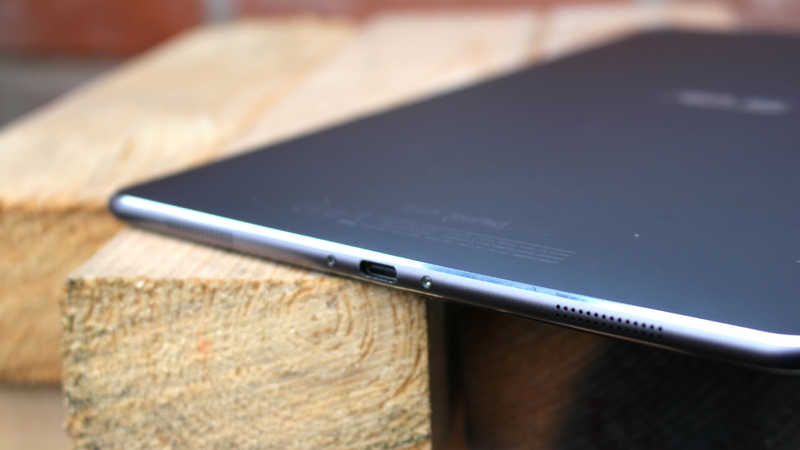 There's no getting around it - the ZenPad 3S 10 really does look an awful lot like an iPad. The ZenPad 3S 10 ignores the widescreen aspect ratio so beloved by Android tablet makers – as Samsung also did with the similarly old Galaxy Tab S2 – and follows Apple's lead by adopting a 4:3 display, which naturally makes the 3S 10 stand out from many of its Google-based rivals. If you can overlook the cheeky way Asus has copied Apple's concept, there's a lot to like here from a purely physical perspective – this is one handsome tablet. The metal casing has elegant, diamond-cut bezels on the corners, while the edges have a gentle curve to them which makes it comfortable to hold. The volume and power buttons are located on the top-right corner of the device (assuming you're holding it in portrait orientation) and the only other physical input is the home button, which also doubles as a surprisingly fast and accurate fingerprint scanner. This is flanked by two capacitive buttons for back and multitasking, which illuminate briefly when you interact with the screen or any of the buttons. On the top edge, there's a 3.5mm headphone socket, which can output audio in Hi-Res, while the bottom is home to a USB Type-C port and two "NXP Amp powered speakers". Like so much else, the positioning of these speakers calls to mind an iPad – but in this case we wish Asus had revised things a little, as it's far too easy to cover one of the speaker grilles with your palm when you're holding the device. Front-facing speakers – one at each end of the device – would have been better, although that may have prevented Asus from achieving a thickness of just 5.8mm, which makes it thinner than the iPad Pro 9.7 or even the newer iPad Pro 11. 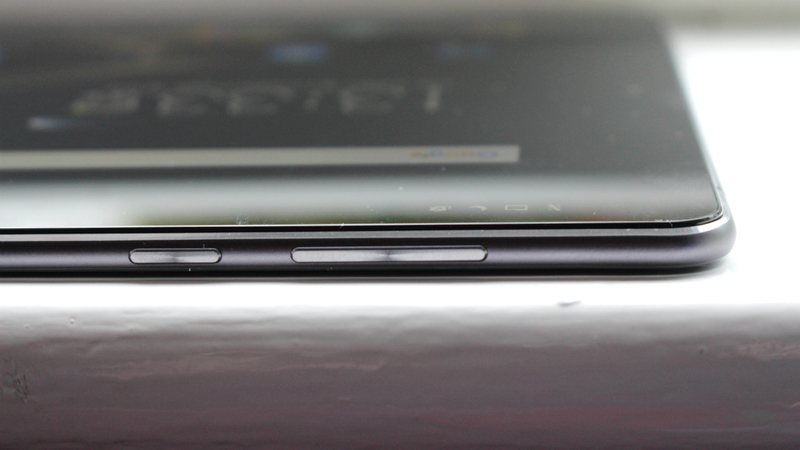 The ZenPad 3S 10 is also incredibly lightweight for a tablet of these proportions, tipping the scales at around 430g. 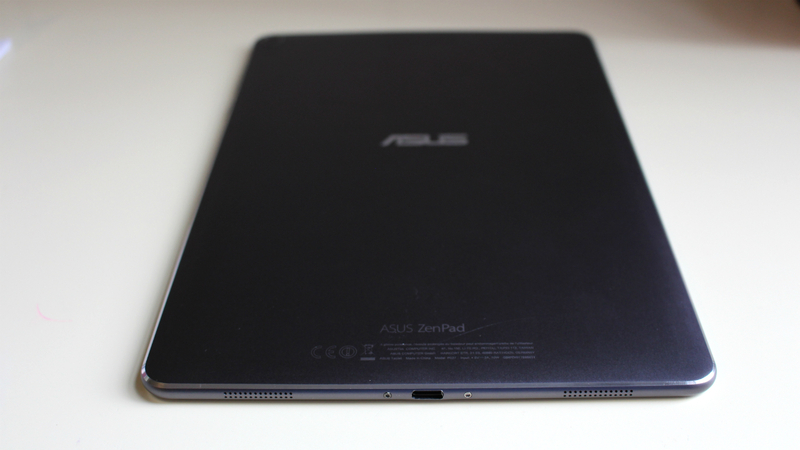 One element of Apple's design which Asus sadly hasn't been able to replicate is overall build quality; while the ZenPad 3S 10 looks and feels like a premium device – and, to be fair, it is – there's a notable flex on the back panel when you apply pressure with a finger. You can even hear the panel moving and pushing against the internal frame, which gives the impression that it's slightly hollow inside. The microSD card slot – which is found on the top-left edge and lets you expand beyond the tablet's 32GB of memory – rattled quite noticeably on our review unit, too. The tablet's IPS screen is perhaps its crowning glory, delivering pin-sharp definition, superb color replication and striking contrast – thanks in part to Asus' own VisualMaster technology. It's still possible to pick out individual pixels despite the QHD resolution, but that's not unusual on tablets of this size and doesn't impact the visual spectacle. Viewing angles are rock-solid and you can tinker with how the screen looks via the preinstalled "Splendid" application, which offers a blue light filter option not entirely dissimilar to Apple's Night Shift mode. This reduces the display's blue light emission by up to 30%, which supposedly stops it keeping you awake when used late at night. 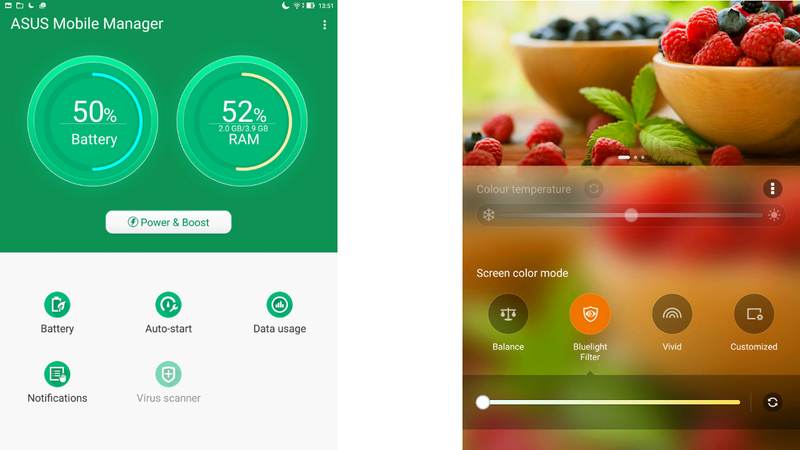 With Android phones, there's a trend for using near-stock versions of the operating system, but given that it's largely unsuited to tablets, it's unsurprising that most slate manufacturers choose to customize Google's software with their own UI – and Asus is no exception. While Android 6.0 Marshmallow was the original base software, the company has now provided an update to Android 7 that you can download over-the-air. There's no word on Android 8 Oreo or Android 9 Pie though and having gone this long without an update we suspect the ZenPad won't get them. 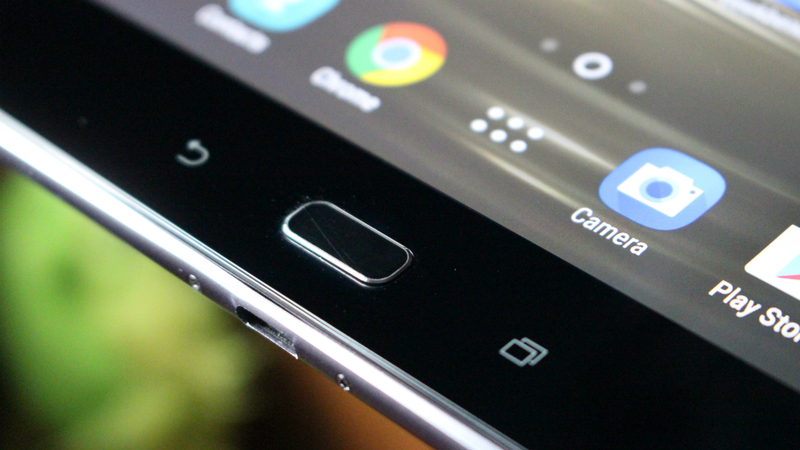 The software may be based on Android 6 or 7 (depending on whether you've updated) but it's overlaid with Asus' ZenUI. But this is actually one of the better custom skins we've seen in the tablet sector, and the company has put some thought into how it can enhance Android with unique options and the ability to tinker with how it looks and feels. Nowhere is this more apparent than on the main home screen of the ZenPad 3S 10. Holding your finger down brings up a menu from which you have a dizzying degree of control over how the interface works. You can change the scrolling animation, alter the app grid layout, install a custom icon pack to change the way apps work, add iOS-style "unread" notification badges to apps that support them and much more besides. 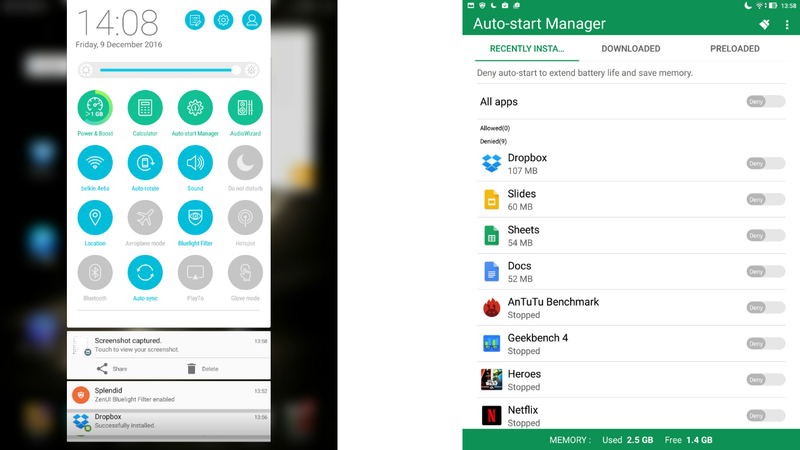 Granted, some of these features can be added to any Android device by installing a custom launcher from the Google Play Store, but it's nice to have them out of the box. 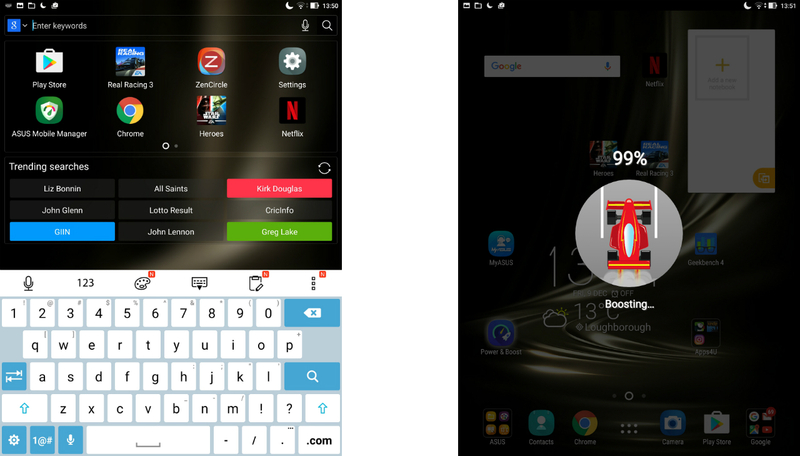 While it's not a new feature as such, the ability to wake the ZenPad 3S 10 from sleep by simply double-tapping the screen is welcome, as are the gesture-based shortcuts which fire up an application even when the display is off. 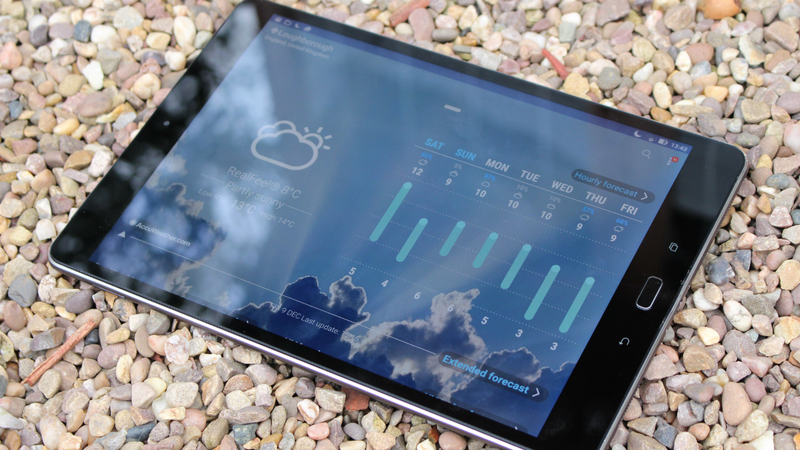 For example, drawing a "W" will open the weather application, while a "C" boots the camera. These gestures are quite common on smartphones intended for the Chinese market, and it's nice to see them being replicated on products with a more global reach. Asus has included a few of its own applications with the ZenPad 3S 10, none of which we felt particularly inclined to use since they mostly replicate functionality and features already present in other apps, such as Google offerings or social networks like Instagram and Twitter. 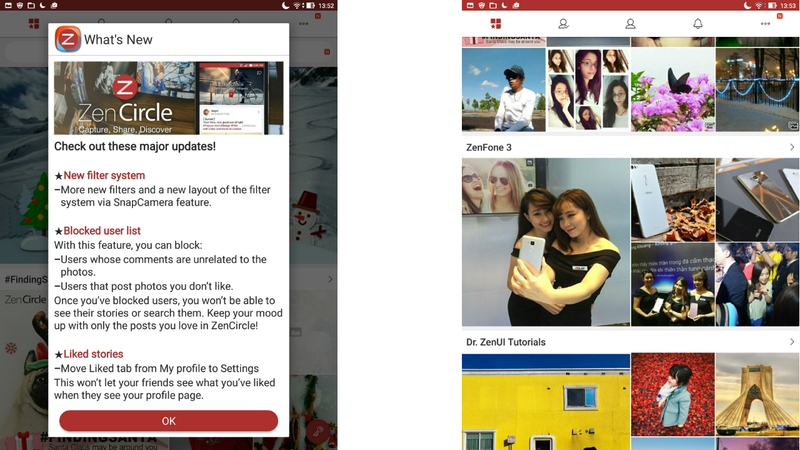 ZenCircle is a prime example of this needless duplication; it's essentially Instagram for Asus users and allows photo sharing, but there are entire sections of the app devoted to pushing other Asus products, which makes the whole thing feel a bit like shameless marketing. 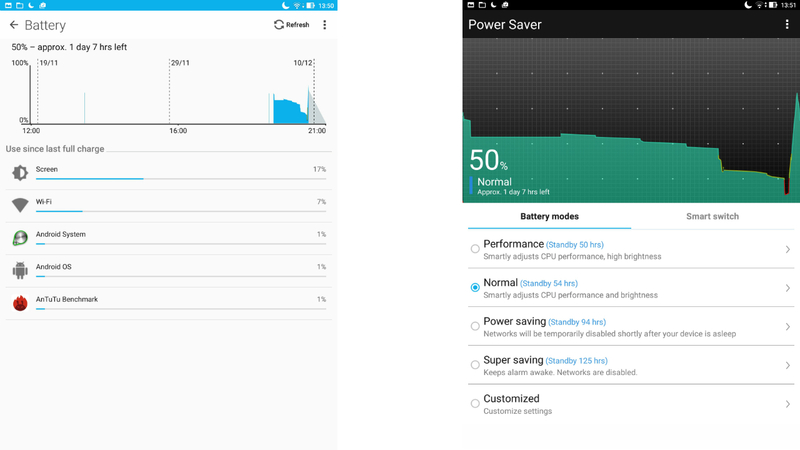 Asus Mobile Manager is slightly more useful, as it allows you to control your tablet's battery levels, data usage and RAM. Asus also includes its own gallery app and movie player, even though the ZenPad 3S 10 ships with Google's far more popular alternatives as standard. Sadly, Asus doesn't allow you to uninstall its core applications – you can only disable them – so they take up valuable storage space despite the fact you're unlikely to use half of them. Because of this, you only have access to 24.06GB of the device's 32GB storage total, but the ability to add more storage via microSD mitigates this problem slightly. Thanks to the large size of their screens, tablets are the natural choice when it comes to consuming media on the move, and the ZenPad 3S 10 truly excels in this area. That gorgeous 9.7-inch 1536 x 2048 screen is the perfect viewing platform for film buffs, with the convincing contrast and gloriously vivid colors bringing movies to life. 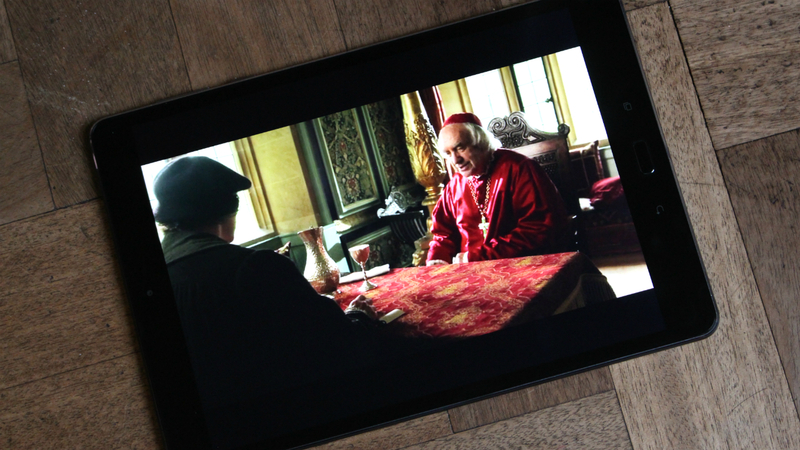 From watching YouTube to streaming HD footage via Netflix, this tablet never fails to impress. The only cause for complaint is the fact that widescreen movies run with borders at the top and bottom due to the screen's 4:3 aspect ratio – but that's a very minor grumble, and something that iPad owners have been perfectly happy living with since 2010. Movie playback is accentuated by the excellent stereo speakers, which are capable of delivering good bass notes as well as effectively conveying higher frequencies. The positioning of these speakers isn’t ideal though, as because they're both on the edge it's easy to cover them with your hand accidentally. Front-facing speakers would have been much better. The ZenPad 3S 10 supports Hi-Res audio if you own compatible headphones and have properly encoded music, and the effect is remarkable. We tested the tablet with a pair of dodocool Hi-Res in-ear headphones and could certainly tell the difference between these tracks and those encoded at a lower quality. As a gaming device, the ZenPad 3S 10 is equally successful. Titles like Real Racing 3 and Star Wars: Galaxy of Heroes ran smoothly and without any obvious framerate problems, and it goes without saying that the screen really enriches the visual impact. Asus has included its own Game Manager application, which automatically pops up whenever you're playing a game; with it, you can flush out the RAM to improve performance or connect to your YouTube or Twitch account to live-stream gameplay. The app can be disabled if you find it too intrusive (an icon remains on-screen whenever you're playing) but the streaming function is actually quite useful, and we came away impressed with how thoughtfully Asus has integrated such a feature. The ZenPad 3S 10 has a hexa-core MediaTek MT8176 chipset beating at its heart, which uses two 2.1GHz ARM Cortex A72 cores and four 1.7GHz ARM Cortex A53 cores. A PowerVR GX6250 GPU – capable of hitting speeds of 700MHz – handles the graphical side of things, while 4GB of RAM is included to keep things ticking along as smoothly as possible. All of this means that in general day-to-day use, the ZenPad 3S 10 is was as silky-smooth as Android tablet got at launch and still holds up now. 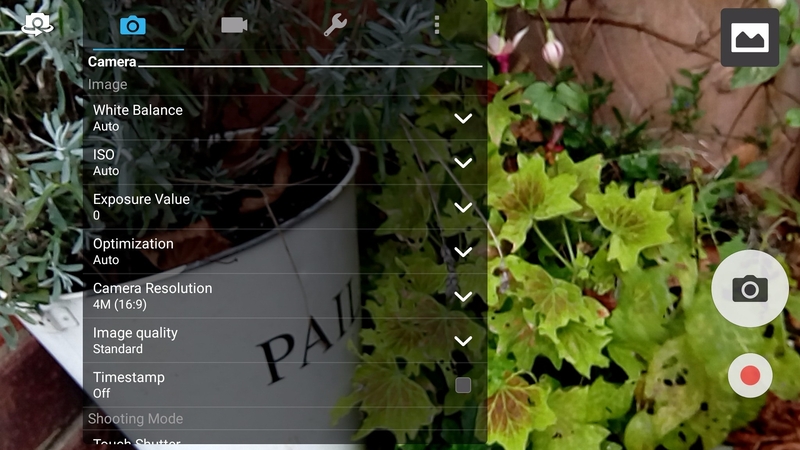 Moving around the UI is a painless experience with no lag or delay, even when moving between apps. The device boots quickly too, and at no point did we ever find ourselves wishing for extra processing muscle. While MediaTek's chipsets don't have the reputation of Qualcomm's, the MT8176 is more than capable of providing a fast user experience. In the Geekbench 4 benchmark, the ZenPad 3S 10 scored 1558 in the single-core test and 3709 in the multi-core test. In the AnTuTu benchmark, it achieved a score of 76089. In 3DMark's Ice Storm Unlimited graphics test, Asus' tablet managed a 14550 rating, putting it slightly ahead of the Samsung Galaxy Tab S2. 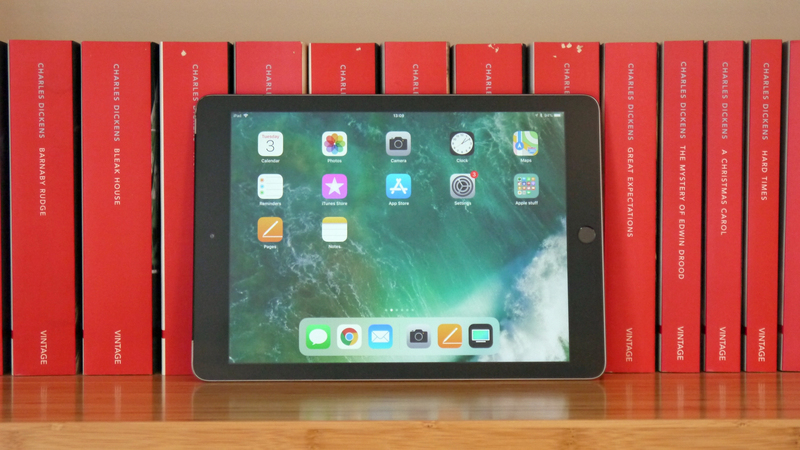 Of course, it's beaten by the Samsung Galaxy Tab S4 and most of Apple's iPad range, but those devices are also newer and more expensive. The ZenPad 3S 10's 5900mAh battery offers decent stamina but doesn't really challenge the iPad Air 2 when it comes to staying power. Asus quotes up to 10 hours of active battery life, a very optimistic figure which is possible only if you're being particularly frugal when it comes to usage. During our usual video test – in which we stream a HD movie for 90 minutes with screen brightness and volume both set to maximum – the ZenPad 3S 10 lost around 30% of its battery. The iPad Air 2 lost just 21% in the same test, while the 2018 iPad 9.7 lost 23%, the Samsung Galaxy Tab S2 lost a mere 16% and the Huawei MediaPad M2 10.0 lost 20%. Thankfully, because Asus has included USB Type-C support with this slate, you can benefit from faster charging times via Qualcomm's Quick Charge 3.0 standard – provided you use a certified 18W power supply, which isn't included. Using the charger supplied in the box it took around two and a half hours to fill an entirely empty battery. The debate regarding the usefulness of a camera on a tablet device continues to rage, but most manufacturers include them regardless. The story isn't all that different with the ZenPad 3S 10; it has an 8MP rear camera and 5MP front camera, and neither is capable of taking a decent photo. The front-facing snapper gets a free pass purely because it comes in handy for making video calls and the like, but the rear-facing camera is woeful. There's no LED flash, so shooting in low-light is a no-no, but even when conditions are perfect the resultant images are dull, lifeless and certainly not anything you'd want to print off and show to friends and family. The included camera application is a bespoke one created by Asus, and offers a wide range of photo options including HDR, slow-motion and manual controls, which allow you to alter settings such as white balance and exposure. It’s a decent showing, but wasted here given the poor quality of the camera. In terms of video, the ZenPad 3S 10 can record in up to 1080p, but the quality is just as bad as the still images. In short, don't bother using this device for image or video capture – chances are, your smartphone is going to give far superior results. 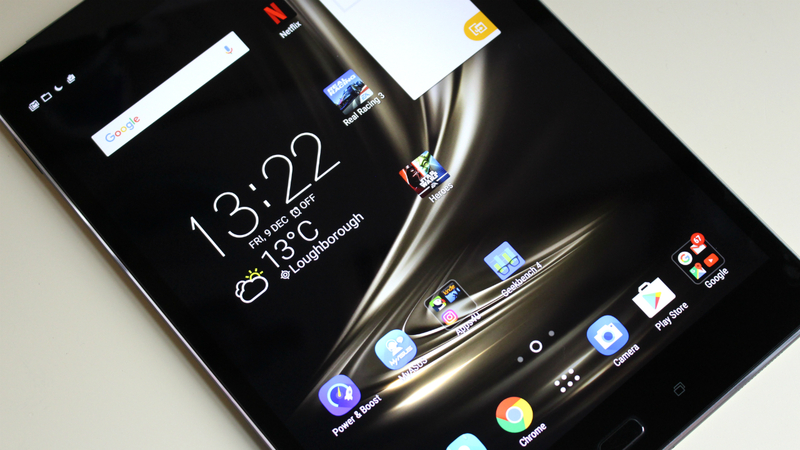 Given that tablets are largely used for consuming media, the Asus ZenPad 3S 10 gets a big thumbs up thanks to its remarkable screen, great audio capabilities and powerful internals. 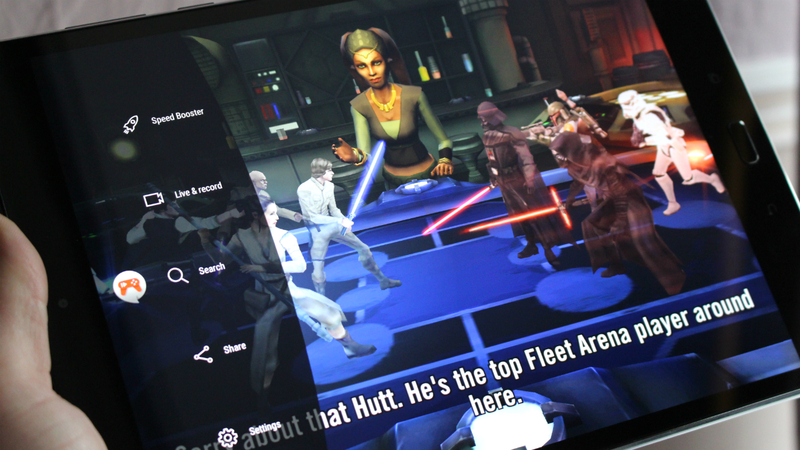 It's no exaggeration to say that this is one of the best screens we've ever witnessed on an Android tablet, and we found ourselves watching more movies and playing more games than we'd done previously with this sort of device. As an entertainment center, the ZenPad 3S 10 is pretty hard to beat, but there are some serious shortcomings which curtail its usefulness in other areas. The terrible rear-facing camera is the most obvious – it's so poor at taking photos that it may as well not even be there – and the battery life isn't as impressive as it should be. We also feel that the speakers are positioned poorly and the overall build quality could be better – a ropey microSD slot and hollow-feeling rear panel detract from an otherwise excellent design. Even with these irksome problems it doesn't change the fact that for $300/£300 (around AU$515) or slightly less now, this is an excellent slate that is perfect for those who consume a lot of media on the move. If you see a tablet device as a means of entertainment, then the Asus ZenPad 3S 10 comes highly recommended. It's perfect for watching movies and listening to music thanks to its striking QHD display, powerful speakers and Hi-Res audio capabilities, and is adept enough to play all the latest 3D games without any performance hiccups. If you're after a media powerhouse and prefer Google's operating system to Apple's, then this makes for a solid purchase. With a retail price of $300/£300 (around AU$515) and the ability to find it for a bit less now, the ZenPad 3S 10 offers iPad-style premium design and a top-class screen for less than the cost of the basic iPad 9.7 model. If you prefer Android to iOS then it's a bit of a no-brainer, especially as the Android tablet sector isn't quite as vibrant as it once was and viable alternatives are a little thin on the ground. There are some niggles – such as minor build quality concerns, middling battery life, poorly-located speakers and far too much bloatware installed – but these are comfortably eclipsed by numerous positives. The Asus ZenPad 3S 10 combines a high-end look with a mid-range price, making it a strong new entry in the middle of the tablet market. But both Apple and Samsung offer high-quality alternatives, while if your budget is tight there’s a more affordable option from Asus itself that you might want to consider. At launch the ZenPad 3S 10 was competing with the iPad Air 2, but with Apple having discontinued that its most direct competition from that camp is perhaps the iPad 9.7, launched in 2018. As a newer device this benefits from a lot more power, and Apple has seen fit to let it work with the Apple Pencil, making it a better choice for creatives. It is of course more expensive than the ZenPad, but as a budget model (by Apple's standards) it's not as much as you might expect. Perhaps the ZenPad 3S 10's biggest rival in the Android sector, the Samsung Galaxy Tab S2 is thinner and lighter than Samsung's previous model and boasts a 4:3 aspect ratio – just like the ZenPad 3S 10. But the battery life could be better and with a dated octa-core processor and 3GB of RAM the specs are slightly disappointing compared to the ZenPad 3S 10, given that it has a similar price. 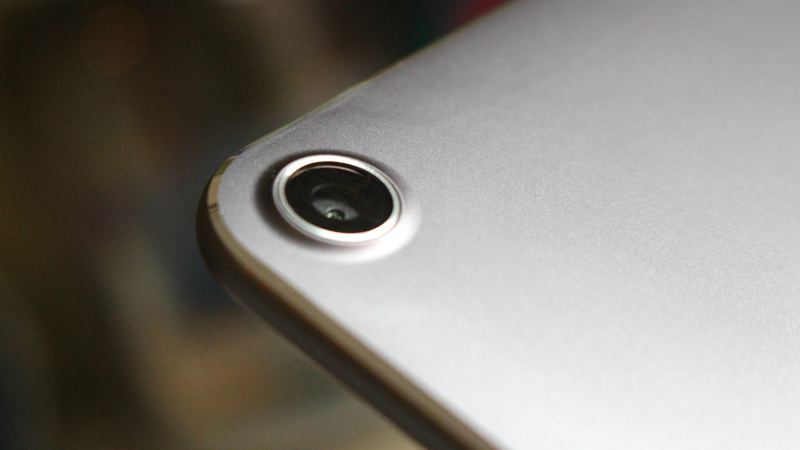 It's also saddled with a very average rear-facing camera. 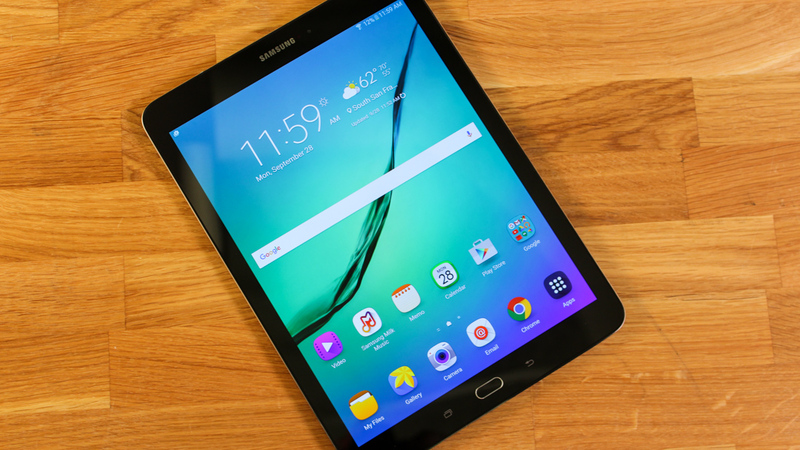 Samsung has since launched the Galaxy Tab S3 and Samsung Galaxy Tab S4, but you'll pay more for these so they're not as direct competition. 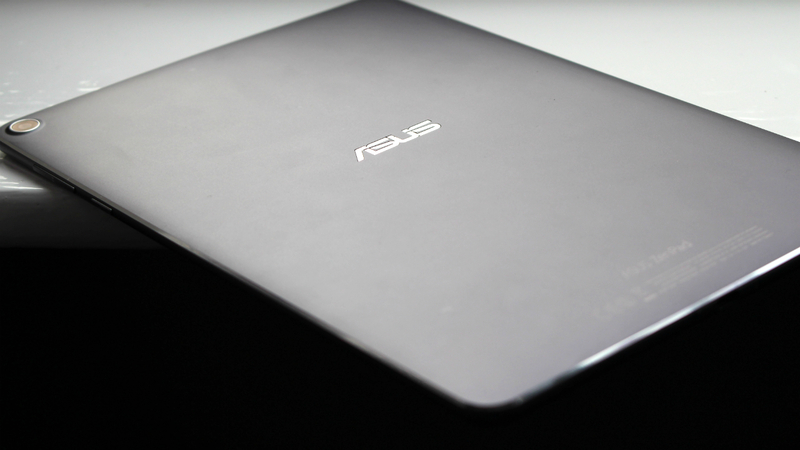 If you like Asus' design and software but can't quite stretch to $300/£300 then this budget option might be worth considering, although it's worth noting that at less than half the price there are some serious cutbacks here. 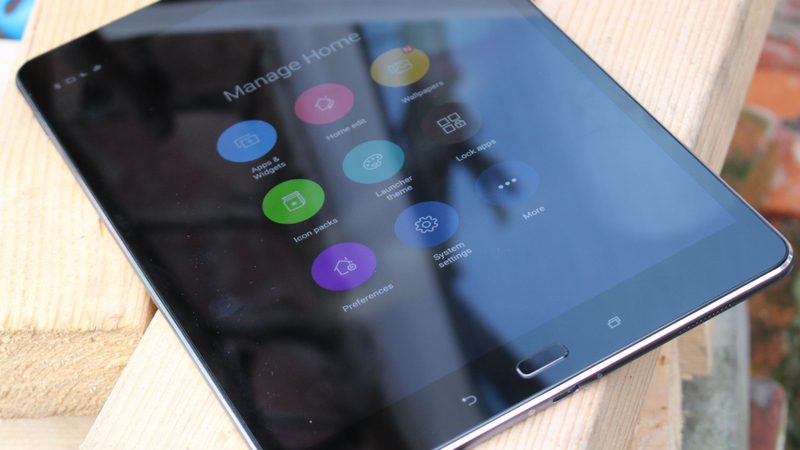 The plastic design lacks the premium feel of the ZenPad 3S 10 and the screen isn't as sharp. It’s also got similarly mediocre battery life, but overall performance is respectable.